“And what glorious colours! A Pepto Bismol pink, a fluorescent orange, blue the shade of those sweets that leave your tongue an interesting hue,” wrote Jack Sunnucks in his review of the Sies Marjan A/W17 show earlier this year. 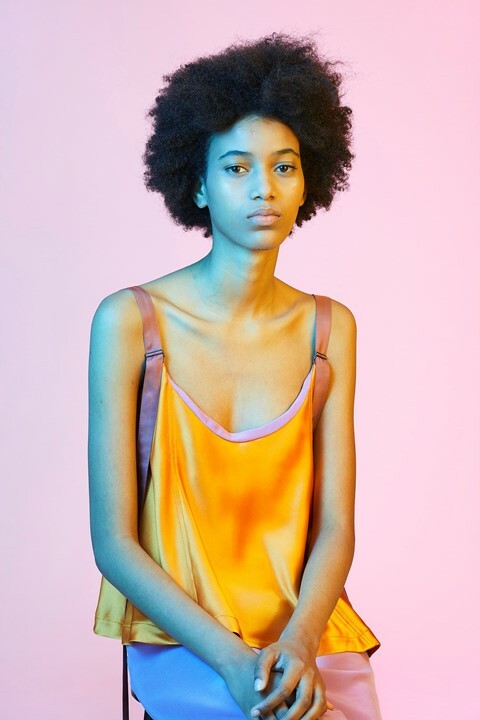 “These are like nothing seen in nature; like pastels after the nuclear option was explored.” This “multi-coloured revolution”, lead by the brand’s founder Sander Lak, carried over into its endeavour for S/S18 with a wealth of candy store-worthy colours. The show itself was presented in Lak’s atelier, with rolls of the vibrant fabric used in his designs acting as a backdrop for the runway. Meanwhile, backstage at the show, each look was shot by Anuschka Blommers and Niels Schumm, two of the best-loved names in contemporary fashion photography. The resulting series – which features Roberto Rossellini, who starred in Sies Marjan’s Autumn/Winter campaign, alongside his mother, Isabella – is a collaborative celebration of the tropes of both creatives. We exclusively speak with Lak about the project, which explores the casting direction of his new collection through vivid pastel hues. 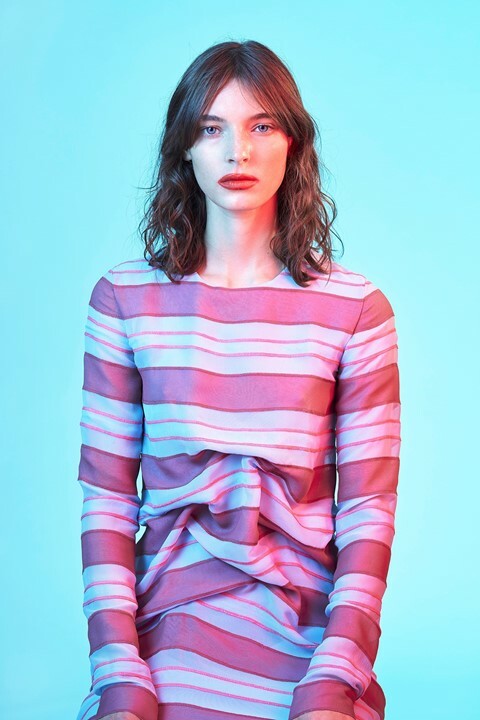 Sies Marjan’s S/S18 collection is available to buy now.